First of all I want to clarify the definition of a penny stock. 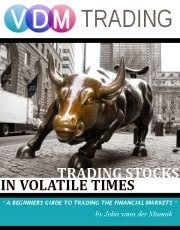 What a penny stock is exactly is debatable, some sources say that any stock trading under $5 is considered a penny stock while others say anything trading under $1 is a penny stock. I stick with the last one, the markets have changed since the financial collapse of 2008 and many well known reputable stocks are now trading for less money than they used to. Anything trading under $1 is a penny stock. (there I said it). Penny stocks are exciting and fun to trade. And there are many out there that have huge potential. A 'good' penny stock ranges anywhere from 25% profit to a whopping 6300% from your initial investment. 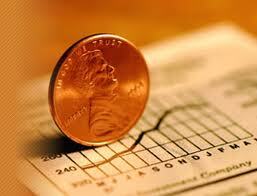 There are two different types of penny stocks, pink slips and OTC (over the counter) penny stocks. I always stick with the OTC penny stocks because they likely represent the small start up companies that don't have a whole lot of capital and have the potential to become a great success. On the other hand pink slips are companies that are already under, are liquidating or are bankrupt and hope for a buyout to save their company and their assets. Both types of penny stocks can make you money it's just what you prefer to buy. When you buy a penny stock (or any stock for that matter) you own a piece of that company and you can hold on to it for as long as the company is in business. Don't expect to receive any dividend for a penny stock. Penny stocks are cheap for a reason. All penny stocks are junk stocks and have little value. They are cheap for a reason. When you trade penny stocks you trade on speculation, yes... forget your analysis - anything can happen when you own a penny stock. You can wake up one morning and your stock is worthless and trades now for $0.001, or it jumped 2000%, which means an investment of $100 balloons up to $2000 overnight. That is the downfall of a penny stock, it's extremely volatile. But that same volatility is also what could be your potential money maker. So the advantage of penny stock trading is that penny stocks are cheap to buy and have huge potential. The downfall is that penny stocks are unpredictable and extremely volatile. You're technical or fundamental analysis on penny stocks are pretty much worthless. You'd have to pick penny stocks based on speculation and hype.